With lush rainforests, dramatic waterfalls, stunning ocean views, and some of the best farmland in the state, there are a lot of reasons why people seek out properties along the Hamakua Coast. At first glance, the coastline stretching between Honokaa and Hilo along scenic Mamalahoa Highway may appear to be the same. However, towns such as Ninole, Hakalau, Honomu, Umauma, and Laupahoehoe are special in their own way. Hamakua Coast properties vary from luxury oceanfront properties to historic homes and expansive farms. 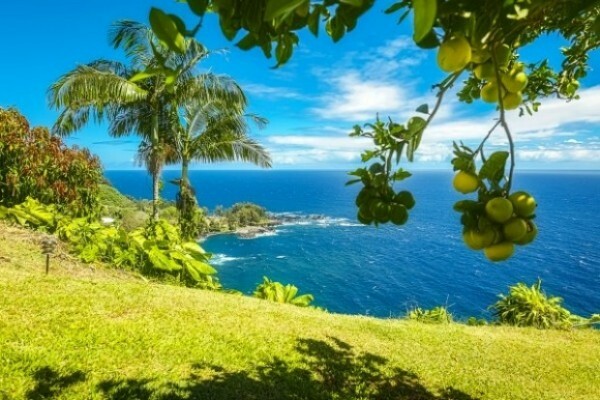 I find that people are often pleasantly surprised at how reasonable home prices are along the Hamakua Coast, given the incredible scenic views and acreage often available. Last week I blogged about a charming, small home in Laupahoehoe that’s ideally suited for someone looking to retire and relocate to Hawaii (MLS# 263262). Having written extensively about the benefits of living along the Hamakua Coast, including Ninole and Hakalau, I wanted to focus on the benefits of living in Laupahoehoe for those considering this property: 36-2344 Pualaea Pl. (MLS# 263262). Laupahoehoe means “leaf-lava” in Hawaiian and the town is named after the leaf-shaped lava that lines the shore. Located about a 20 minute drive north of Hilo along scenic Mamalahoa Highway, the town of Laupahoehoe is relatively small in size and population. 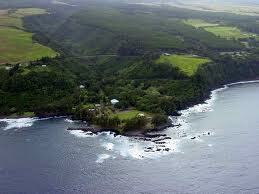 According to 2010 Census data, 581 people call Laupahoehoe home, 43% of which are over the age of 50. Encompassing slightly more than 2 square miles along the Hamakua Coast, the community is home to a popular 1950s diner, a museum, parks, and ample outdoor activities. A short drive down from the Highway, Laupahoehoe Point is one of the focal points of the community. It features a campground, pavilion, picnic area, and restrooms, as well as breathtaking ocean scenery. The county park is popular with residents for camping, fishing, and enjoying a picnic. If the ocean is too rough for swimming, Laupahoehoe is also home to a community swimming pool, which is open daily and free to use. There are also plenty of cultural activities in Laupahoehoe and surrounding areas. An annual music festival held at Laupahoehoe Point draws some of the biggest names in Hawaiian music, while the Laupahoehoe Train Museum is a great way to learn about the region’s rich history. Nearby Hakalau is home to the World Botanical Gardens and Waterfalls, as well as zip line activities. The Hamakua Coast is known as the breadbasket of the island, and residents can buy fresh local produce at Laupahoehoe’s farmers market every Sunday. Families looking to move to Laupahoehoe will appreciate the area’s premium educational opportunities, including Laupahoehoe School, which recently became a charter school. Laupahoehoe is a wonderful place to live! If you’d like to find the perfect property for your Hawaii life in this quaint town, give me a call today at (808) 963-6880.